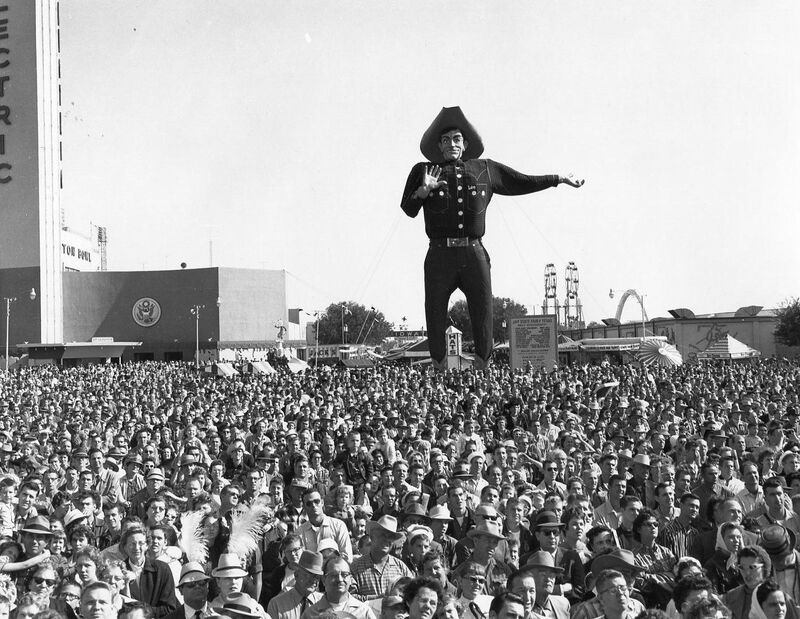 Big Tex and a crowd of serious-looking adults watch something in the distance at the 1959 State Fair of Texas. The 2017 State Fair of Texas starts in one week! 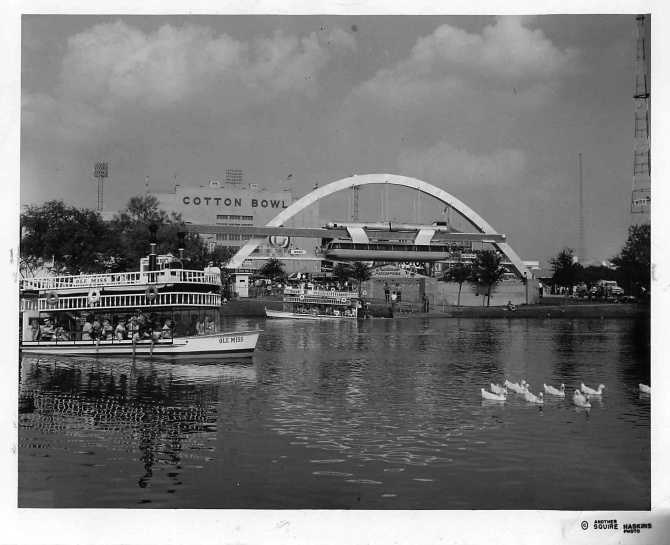 See a whole passel of Flashback Dallas’ State Fair of Texas posts here. Copyright © 2017 Paula Bosse. All Rights Reserved. Probably me., I was selling candy for our church building fund. Or maybe Borden’s cow (what was her name) who was in building next to me! Great photo and I can tell you they are looking at the Mobil Stage that stood for many years just across from Big Tex. Heard many bands there over the years! Copyright © 2014-2019 Paula Bosse. All Rights Reserved.